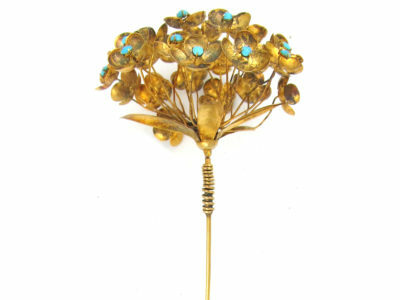 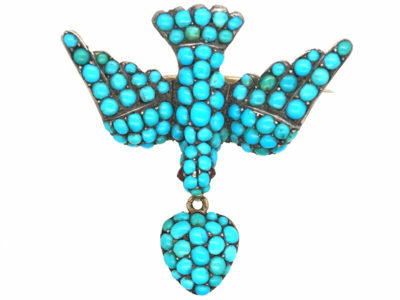 An unusual Georgian brooch, made circa 1800-1820, which represents the dove of Peace or “Saint Esprit”. 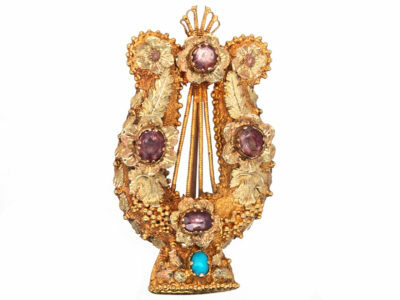 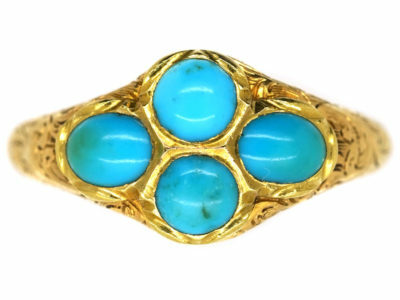 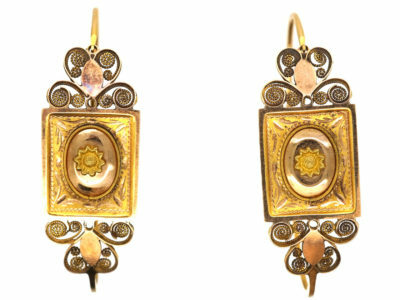 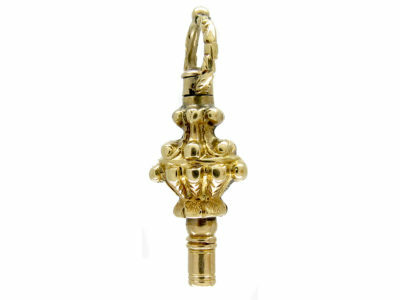 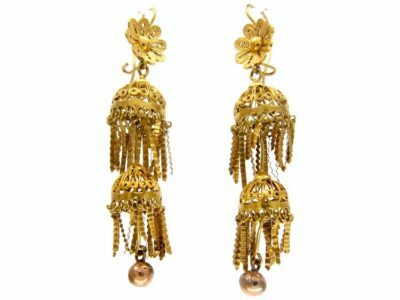 Pieces like this were popular in the late eighteenth century and early 19th century as both religious icons and as sentimental jewellery. 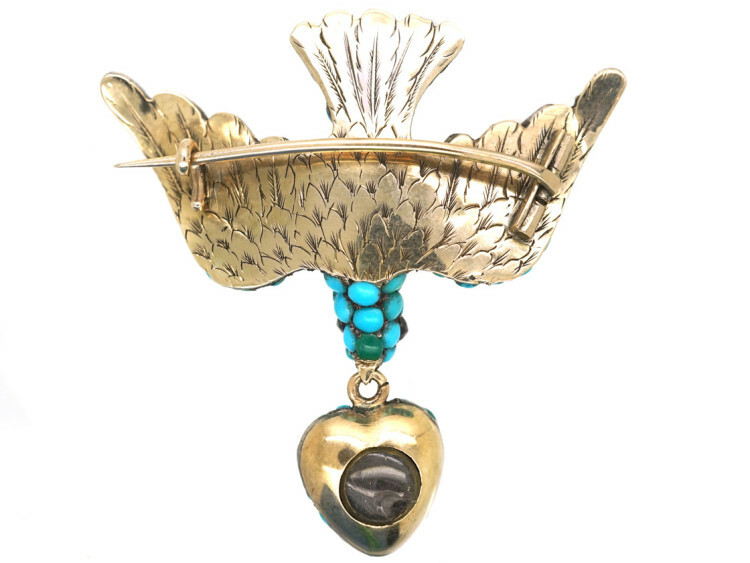 This piece is particularly pretty as it has a small heart suspended from the dove’s mouth. 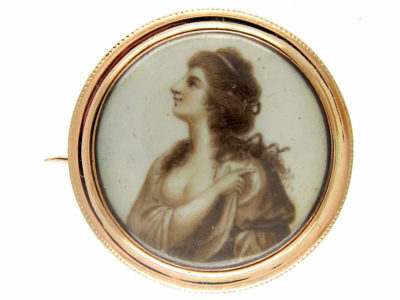 On the reverse is a locket section which may have contained a piece of hair at some point. 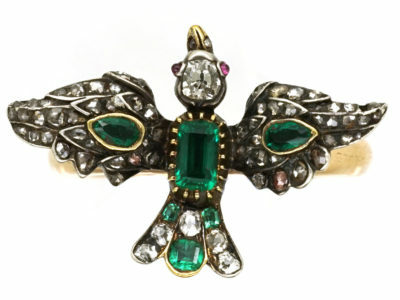 The dove’s eyes are set with tiny rose cut garnets and the reverse is engraved with feathers. 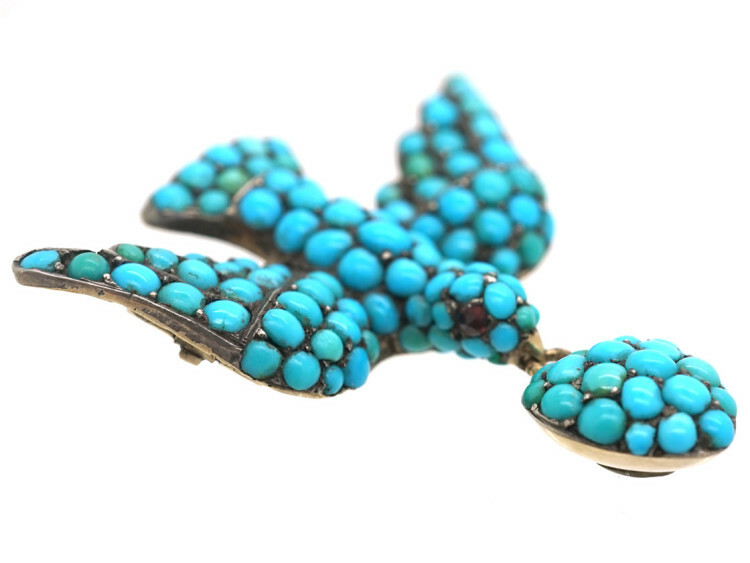 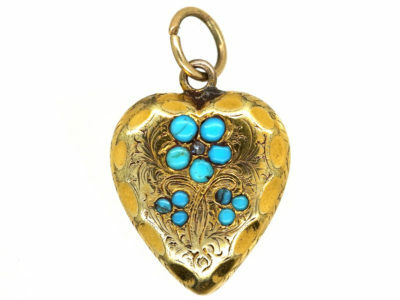 the dove and heart are pave set with graded turquoise which mean “Forget me not” after the flower of the same name. 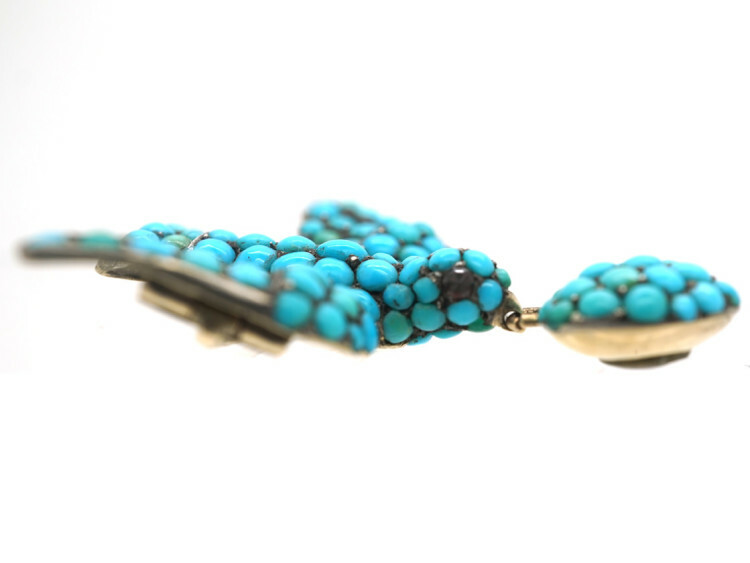 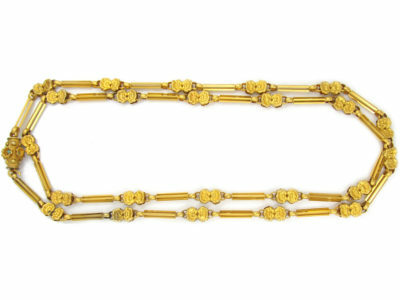 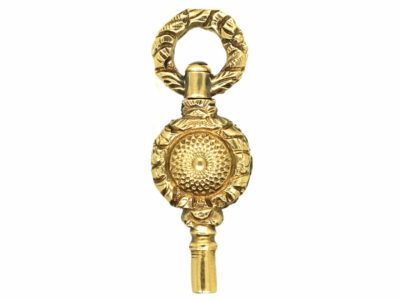 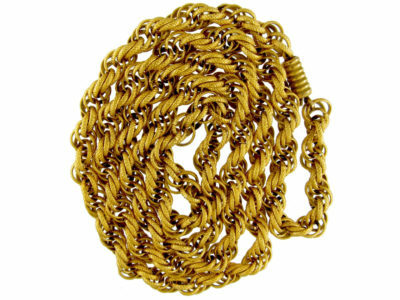 It is a special and quite rare piece of jewellery.